My late father, Philippus Jeremias (Flip) Coetser, was a keen genealogist. 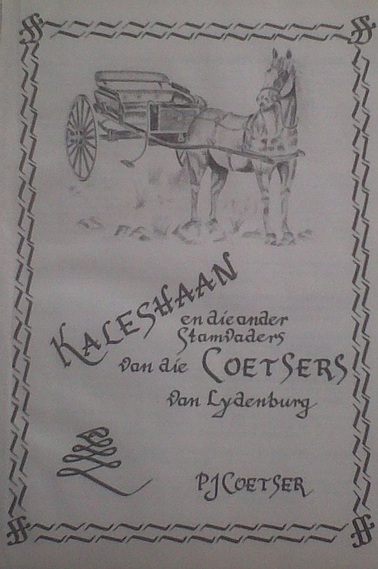 His book, "Kaleshaan en die ander Stamvaders van die Coetsers van Lydenburg' was published in 1988, a year before he passed away. I remember how thrilled he was about every bit of information he gathered during his research. He was particularly proud of Philippus Jeremias Coetser aka Kaleshaan who was a member of the government of the historical ZAR (Zuid-Afrikaanse Republic). 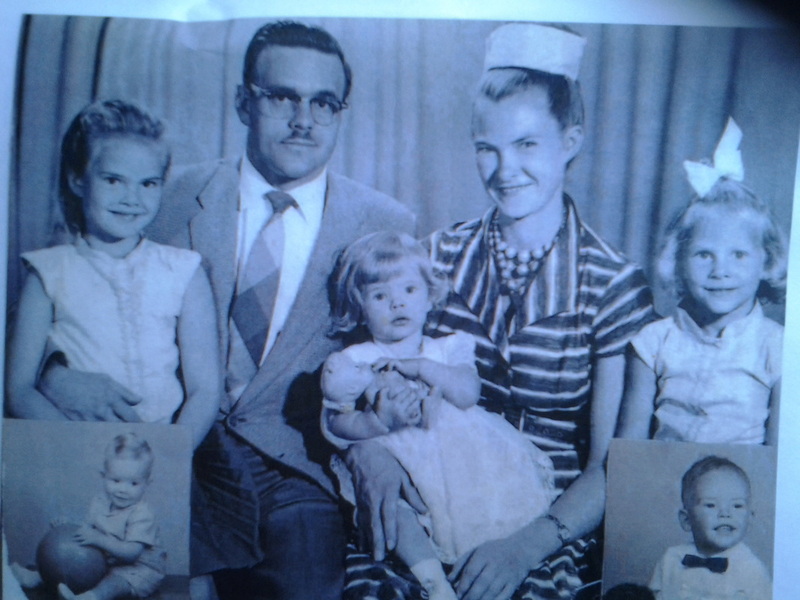 My father, Philippus Jeremias Coetser, better known as Flip, Ouboet, Oerie. 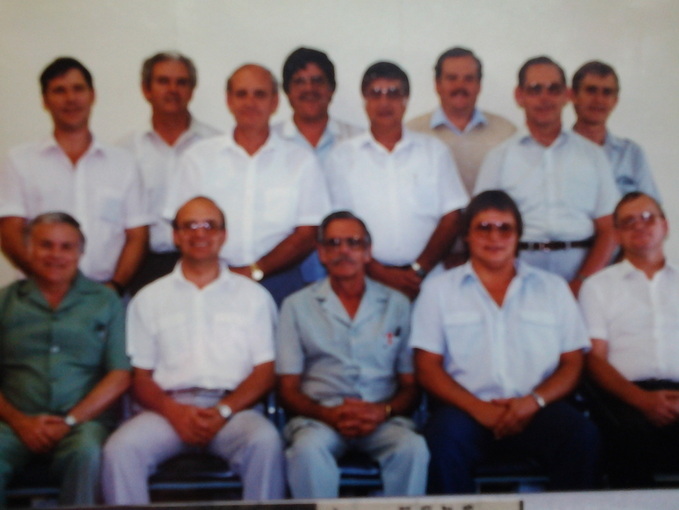 One of the last pictures of my father with his students at the Technical College in Olifantsfontein. 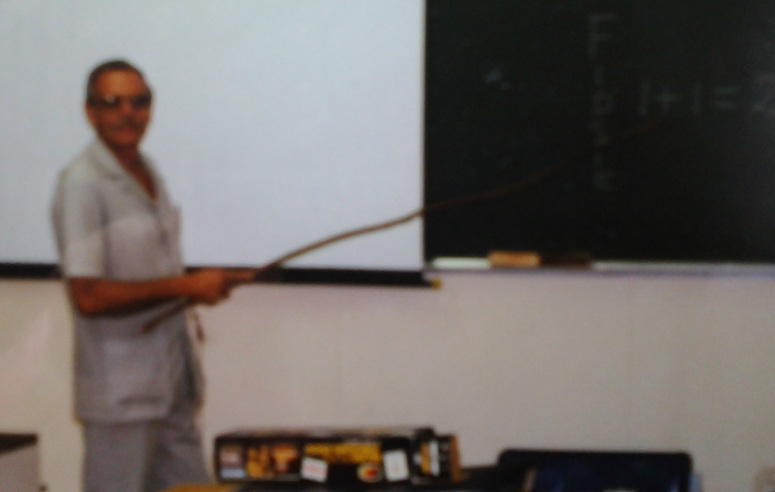 On January 30, 1989, in his classroom, in the presence of his students, a massive blood clot ended his life. He was only 54 years old. In my dreams I always find him busy studying one or another topic - exactly what he always did while he was alive. In my most recent dream, he was all alone on the moon, wearing a white over-coat, searching for something that was hidden under a rock. He was so pre-occupied, he didn't even notice me. Contact me if you have any interesting stories about Coetsers or Coetzers.